If you are looking for your own private ocean front beach home on Olde Cape Cod with a boat dock, stop, you found it ! An absolutely perfect choice for a well deserved vacation. One of only seven homes built on this former island location, this is one of the few opportunities for leasing a private single family 4 BR home, with boat dock & central AC/Ht. in the Mill Creek area just off Lewis Bay. The off-shore breezes provide natural summer cooling. When AC may be desired, we have an energy efficient Central Air Conditioning for the home as well as ceiling fans . This quite waterfront home has a superb location that offers easy access to busy Hyannis Main St, shops and restaurants as well as the our Cape Cod Medical Complex & Hospital. It is also close to the Airport and Martha's Island and Nantucket Island ferries as well as bus and taxi transportation, etc.. Additionally we are very close to the Cape Cod Mall. You will enjoy this quite relaxing and convenient sea front location that has amazing views of the sparkling sea, boating, sail boarding, wind surfing, with lots of wildlife activity. Bring your own boat or rent one and tie up to your own private dock. It's a short paddle in our Kayaks to Mill Pond, one of the best preserved natural wildlife refuge areas where you will enjoy this experience while you are Kayaking and Boating. Residence: The existing 4 BR – 3 Bath home of approx. 2,400 sq.ft. has many attractive appointments including natural oak pegged hardwood floors, brick fireplace, ceiling fans in every room, white vertical paneling, accent wainscoting, Corian kitchen, new washer and dryer, tiled baths and with a long covered ocean side porch for outdoor lounging. The upper level of the home offers a King size bed in the master bedroom with private bath and another bathroom for the other two bedrooms which have twin beds. A new foldaway bed is also available. The lower level has a direct walk-out access via another brick patio to the waters edge. It is designed with an open plan Living-Dining with large screen TV, Guest Bedroom with twin beds, Open Kitchen-Bar and full bath with Shower and Laundry Area. Natural Ventilation & Central Air Conditioning: The Home sits well above the ocean level and enjoys the natural ventilation form the constant on-coming prevailing ocean breezes provide. Each room has new energy efficient ceiling fans and the large Living room has two ceiling fans to enhance the natural cooling. Additionally all areas in the home have new energy efficient central air conditioning for comfort for the few times it may be needed. The central A.C. is coupled with a commercial dehumidifier and provides a very comfortable environment, which the tenant can control at his own option. Benefit of Owner Living Next Door: The benefit of the Owner next door is comforting to most tenants, they can provide any required information from directions to attractive local shopping, entertainment and restaurants to responding to any miscellaneous repairs or emergency needs. The garage has extra beach chairs, lawn chairs, three adult bikes, a smaller bike and scooters with lots of play things for the younger children. Bring your boat or rent a boat, we have a new 60' pier which is great for fishing and boating. The dock is equipped with lift for your boat, (some limits on use a low tides). Area for boat trailer storage. See Owner for more details and applicable charges. Our background is in the field of Architecture and Design. Our children now operate that family business which includes restoration and adaptive reuse of many historic properties as well as new projects, some of which our family has purchased and personally developed and managed. Our purchase of Prince II was influenced greatly by our own experience having lived for over thirty years in a wonderful home next door. We are continually moved by the changing oceanfront views, many birds, wildlife and the intimate scale of this original island community. We recently renovated the interior and exterior with many updated features to make the home more friendly and enjoyable for vacationers. We enjoy our walks on the beach, the natural wildlife, and seeing our grand-kids growing up with memories of summers on beautiful Cape Cod. We knew other families would also love and enjoy experiencing this very lovely traditional style Cape Cod home. There are a number of reasons why this property is special. Unlike most Cape Cod rental homes, this is not in a 'Rental Area'. The street is filled with expensive year round upscale private residences. What is special is your opportunity to enjoy this scale of living with privacy, full water access, private salt water frontage, great views and your own personal boat dock. Master Bathroom #1: has a vanity, shower and toilet. Bathroom #2: (off the corridor) has ceramic tile floors and wainscoting, two double lavatories, a long vanity and linen/storage built-in closet. Bathroom #3: has ceramic tile floors, a vanity, shower and toilet. Property has beach frontage of 150' on Mill Creek off Lewis Bay. Also easy 5 minute walk to Yarmouth Public Beach. Property is located directly on Ocean saltwater frontage of Lewis Bay and MIll Creek. 15-20 Minute walk to Hyannis Village Shopping and the Harbor with Boats to Martha's Vineyard and Nantucket. This 5 Star Property is located directly on Ocean saltwater frontage of Lewis Bay and MIll Creek in a beautiful million dollar neighborhood. Water vistas from all rear rooms of the home including, Kitchen, Living Room & Dining Area. Fantastic Views of Mill Creek & Lewis Bay. Kayak access to wildlife nesting areas on Mill Creek. Salt Water Frontage Perfect for children and adults. Central Forced Warm Air Heat. Long driveway for three autos plus adjacent gravel parking for two more vehicles or boat trailer. Two Sofas and One Single upholstered chair with rocker and foot stool. Central Fireplace and large HD TV provided. Home has a finished walk-out lower level with an open plan containing a Kitchen-Bar Area, Laundry Rm. full Bathroom, open plan Living Rm. with large screen TV, Blue-Ray Player, a guest Bedroom and direct access to lower level brick patio and Ocean front beach area. Two owner provided kayaks, life pres. and paddles. Gorgeous views of Lewis Bay, Two Kayaks Provided, Access to Mill Creek. Bring your friends and family to this delightfully charming New England paradise. The beauty of Prince II is it’s captivating and ever changing waterfront and wildlife vistas. With a 100’ long beach front location, Prince II provides safe water access for children and adults, allowing for wading or swimming into and across the waterway. 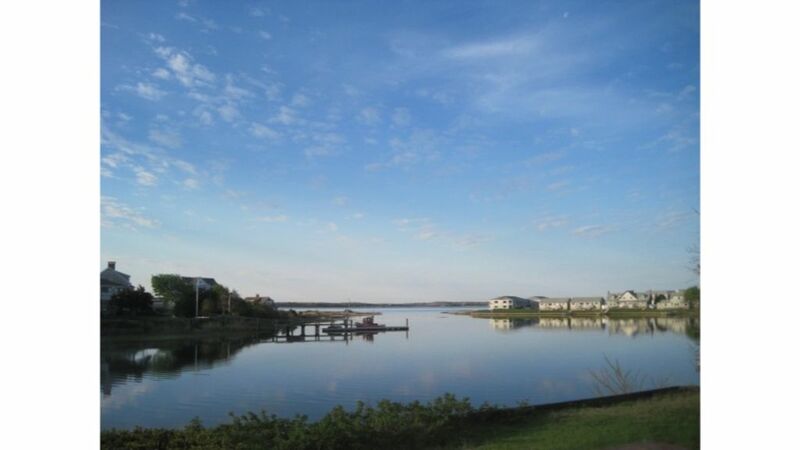 The waterfront location allows boating access to Mill Pond, Lewis Bay, Nantucket Sound and the Islands beyond. • Minimum Age Limit for Renter Leasing Home: 25 years of age • Home set up for Family Occupancy • Security Deposit of $500 due upon arrival. Must be Bank Check or Cash. • Optional Boat Dock Mechanical Lift Usage must be pre-approved by the Owner, flat rate for week is $500.00 • No deposit refunds for cancellations after 60 dates prior to occupancy unless home can be re-rented for same dates and rate. • Home instructions are posted in the residence. • Credit Card Payments can be requested by Owner if desired using 'PayPal'. • ALL RENTALS ARE FROM SATURDAY TO SATURDAY. • A 50% DEPOSIT W/ LEASE, BALANCE DUE 60 DAYS PRIOR TO OCCUPANCY • NOTICE ON CANCELLATIONS: • All payments are non-refundable, unless home is re-rented for same time period and amount.